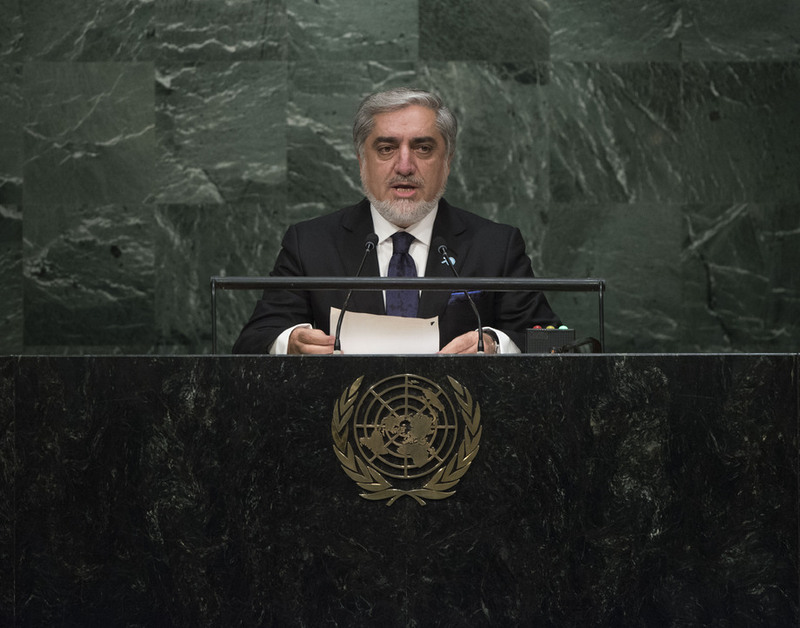 ABDULLAH ABDULLAH, Chief Executive Officer of Afghanistan, said a set of menaces — mostly man-made — posed threats to human societies across the world and challenged the United Nations existing mandate and traditional approaches to dealing with global issues. But never had the world and the United Nations faced such fast-paced change — both constructive and harmful — and immediate demands for solutions and answers. The United Nations and other specialized and multilateral organizations needed to drive the agenda and provide the required platform for decision-making. Afghanistan urged future reforms to take on pressing needs and offer flexible and fast-track problem management. As a case in point, Afghanistan was suffering and its people demanded practical, verifiable and durable solutions, he said. The presence of terrorist sanctuaries and support networks in Pakistan continued to cause trouble in Afghanistan, with the Haqqani network identified as the main culprit. He called on Pakistan to adhere to its promise to crack down on known terror outfits, as well as honour its commitment to engage in peace talks with the Taliban. Afghanistan also needed regional stakeholders and international partners to realize the gravity of the situation and use their “good offices” to support the country’s process leading to talks with the Taliban and other armed opposition groups. Afghanistan’s National Unity Government had achieved significant milestones since its inception one year ago, such as improved health care, greater female participation in politics and the electorate, and a comprehensive plan to root out corruption in all levels of Government, from the executive to the judiciary, he said. However, in addition to the security challenges, the illicit drug trade was adversely affecting the economy and society. Beyond this particular difficulty, the Government was committed to enhancing regional engagement to turn Afghanistan into a connectivity hub for energy, trade, transport, transit and pipelines. The sixth Regional Economic Cooperation Conference on Afghanistan in Kabul had agreed to develop and consolidate partnerships towards promoting regional economic cooperation and integration for those goals. Finally, Afghanistan looked to the United Nations to remain beside it for years to come as it made its transformation, he said. With that said, the Government called for a strategic realignment in the international community’s support role — as well as the part of the United Nations — as it moved forward. He welcomed the outcome of the work of the Tripartite Review Commission to determine the guiding principles of the United Nations future engagement in Afghanistan.